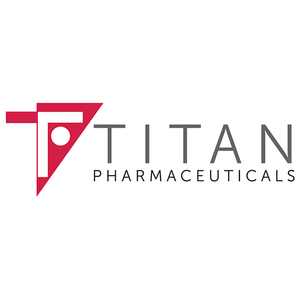 Titan Pharmaceuticals’ (NASDAQ:TTNP) Probuphine implant for opioid use disorder is now being used in patients across Canada. Approved by Health Canada in April 2018, Probuphine is the only subdermal implant designed to deliver buprenorphine continuously for six months following a single treatment. Probuphine must be inserted and removed by a healthcare professional who has successfully completed the Probuphine Education Program. “Probuphine provides a unique new option in the treatment of opioid abuse, one that overcomes the barriers of daily adherence and multiple pharmacy and clinic visits,” Dr. Ken Lee, London site lead and head physician at the Rapid Access Addiction Medicine Clinic, said in a statement. Knight Therapeutics (TSX: GUD) distributes Probuphine in Canada. “We are pleased to see health care professionals from the Maritimes to British Columbia completing our live training program and providing access to Probuphine across the country,” said Knight CEO, Jonathan Goodman.